Yesterday morning, November 11th 2018, Jagadānada prabhu came shouting at my main entrance gate around 8.30 am. 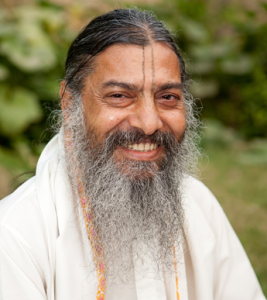 I just heard him saying, “Ananta Dāsa Bābājī Mahārāja has …!” I thought Bābājī Mahārāja had come to Jiva Institute. So I rushed to the gate only to discover that has left his body. It was a very sad news. 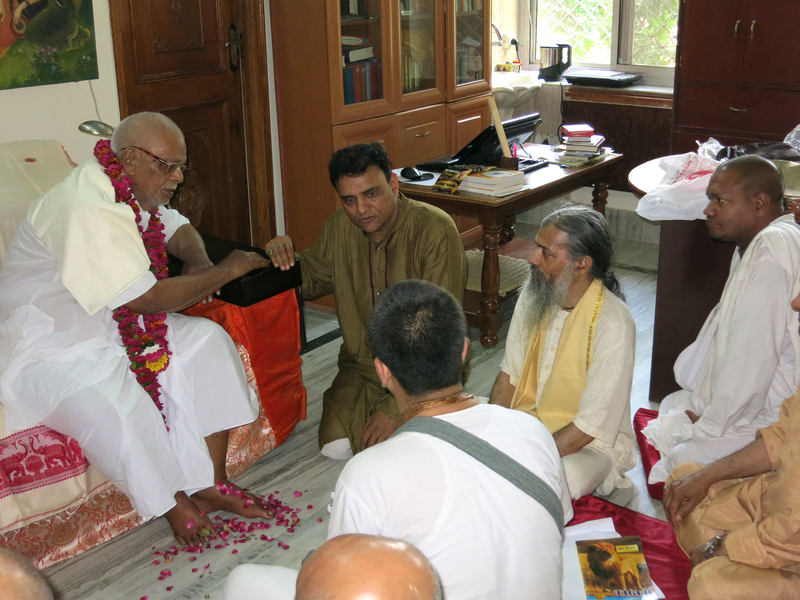 The Vaiṣṇava community of Vraja lost a great saint and scholar in Śrī Ananta Dāsa Bābā Jī Mahārāja. Bābājī Mahārāja was the greatest living Vaiṣṇava of Vraja. He was exemplary in his conduct. Whenever I met him, he treated me with so much respect that I felt embarrassed. He would not let me sit on the floor in front of him. Being such a senior Vaiṣṇava and Mahant of Rādhākuṇḍa, he behaved so humbly. There was no air of pride in him. He was always absorbed in nāma-smaraṇa. Read any of his books and you will be amazed at his scholarship while bringing to life the pastimes of Bhagavān Śrī Kṛṣṇa that contain the Gauḍīya siddhānta. He spent ten years traveling to remote villages teaching the message of Mahāprabhu and giving dikṣā in the line of Śrī Nityānanda Prabhu and Śrīmatī Jāhnavā Mātā through the descendants of Śrī Dhanañjaya Paṇḍita before settling in Rādhākuṇḍa. Later, recognizing his humility and purity of heart, the seniormost Vaiṣṇavas of Rādhākuṇḍa elected him as the Mahanta of Rādhākuṇḍa, the 34th representative of the seat of Śrī Raghunātha Dāsa Gosvāmī. He has written extensive commentaries on forty of the main books of the Gosvāmīs and their contemporaries. His original works include around ten books of bhakti-related glorifications plus twelve books explaining the Gauḍīya Vaiṣṇava sampradāya tattva in simple but elevated language for the spiritual upliftment of the general public. A number of his books have been translated into English and Russian. Being situated in Vrindavan, I did not get too many opportunities to meet him. But the few times that I got his darshan created a great impression on my mind. Even in his old age, he was ready to give his darshan whenever I went to see him. Over the last few years, he received Ayurvedic treatment from my brother, who come on several occasions from Faridabad to see Bābājī Mahārāja. Once, when my brother was coming to Vrindavan, Bābājī Mahārāja came to know about his visit. 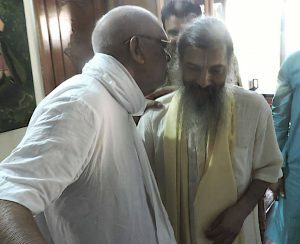 So he did not hesitate to personally come to Jiva Institute in Vrindavan to see my brother. I was truly taken aback. He could have just sent a message for my brother to come to Rādhākuṇḍa. But out of his natural humility, he did not consider that. Another time I went with my brother to see him at Rādhākuṇḍa. Bābājī Mahārāja offered him the same respect that any ordinary patient would have offered his physician. Last year my own health was very bad and I was physically very weak. Bābājī Mahārāja used to send me invitations to attend the tirobhāva mahotsava of his Guru Mahārāja. Being aware of my health condition, he sent his disciple Bābā Keśava Dāsa to personally invite me. I expressed my inability to attend because of my fragile health. In his great compassion, Bābājī Mahārāja called and blessed me to regain my health. He was very concerned about it although he himself had many physical ailments. I often think that the traditional breed of Gauḍīya Vaiṣṇavas is gradually disappearing from the Vraja area. I think there is no replacement for them. They are like an old species that is becoming extinct. I consider myself highly fortunate that I got the opportunity to get the blessings of a great saint like Paṇḍita Bābājī Mahārāja. All Glories to Sri Ananta Das Babaji! When a sadhu left the body it’s body is kept to be worship in a Samadhi. In the case of Sri Ananta Das Babaji it was burn. can please explain the tradition in this case. Please Forgive any mistakes in my question. Although it is true that babajis and sannyasis are given samadhi with their full body, individuals may have their own wishes. Another factor may be that of the space. 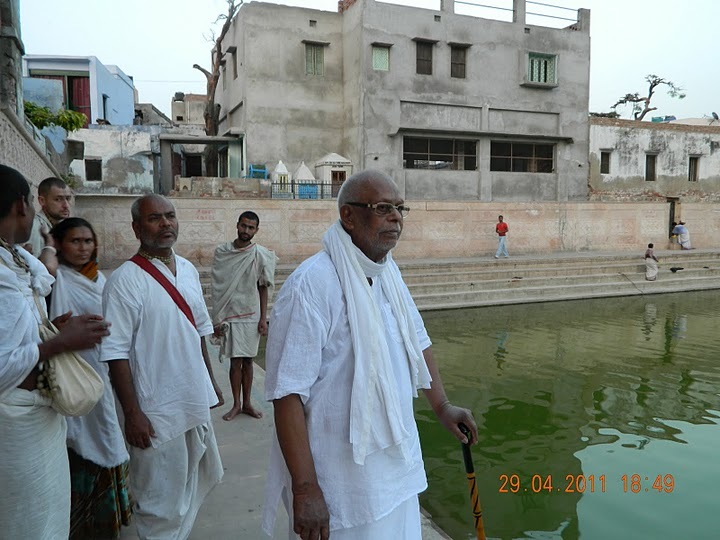 Radhakund is a very small place and most ashramas and temples around the kund are not very big. So it would not be possible to create a samadhi for every babaji who leaves his body there, and thus cremating the body is a practical solution. 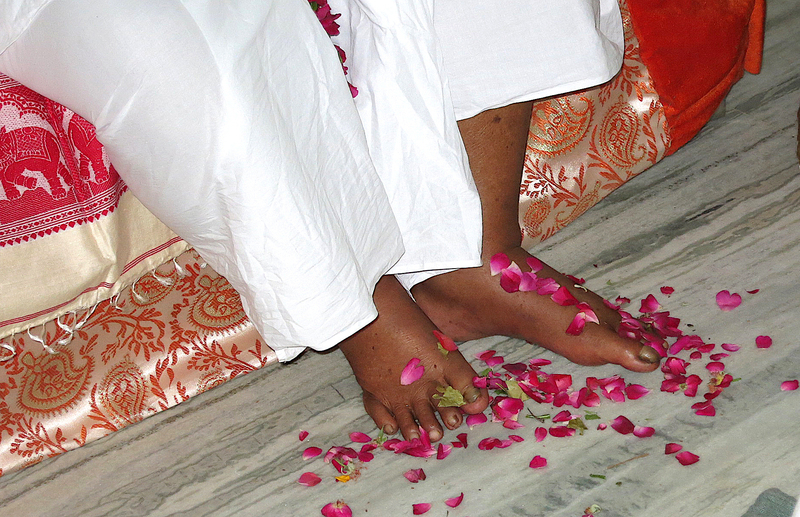 However, in the case of Pandit Shri Ananta Das Babaji Maharaja, it seemed to be his wish to cremate his body.